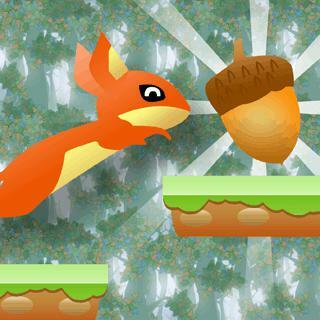 In Nut Rush you have to help the little squirrel to gather nuts and bring them safely to the nest. This cute Jump 'n' Run puts your skill and reflexes to the test. Jump from branch to branch, but be careful not to fall from the tree. How many levels can you complete?